It’s a brand new year and with that comes newer insights, changing consumer tastes and preferences. We’ve put together a list of the most trending flavor profiles for 2019 that are likely to see a high demand this year. What’s to be seen is how consumer brands and F&B companies utilize these trends to their advantage. Floral flavors have pretty much been one of the biggest culinary trends around and, from the looks of it, will continue this year as well. Gone are the days when the role of flowers was restricted to adding colour to an otherwise dull space. Today, flowers are at the forefront of a new-age culinary reinvention that goes beyond their use in categories such as beverages to expand to desserts and even savoury food products. Floral flavours are being preferred not just for their freshness & sweetness but also the visual beauty they bring to the table. Owing to a growing consumer interest in botanicals and a demand for more back-to-nature flavours and ingredients, American company, McCormick & Co. is now offering floral popcorn-like bites with a coating of chilli powder and cumin paprika, a combination that would be virtually unthinkable a couple of years back! 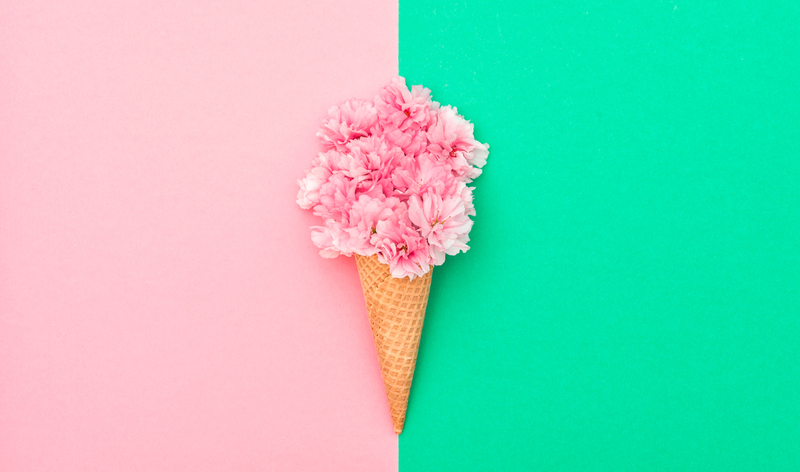 Honeysuckle, lavender, rose and lilac are only some of the many floral flavours that are likely to gain popularity this year. Citrus was the king last year and given a growing demand for the zesty aroma characteristic to the flavour, it looks like it will continue to top the popularity charts this year as well . While earlier on, its popularity was restricted to the beverage category, this year it is expected to be the flavour driver in a variety of applications. Amongst others, Citrus is being considered as the latest source of innovation and opportunity for grain-based manufacturers. What’s especially novel is the pairing together of citrus fruits & grains– citrus particularly works well with hearty grains, something that food companies must consider capitalizing on in 2019. The citrus flavor from Japanese fruit, Yuzu is a particularly interesting taste to look out for, something that is expected to find more shelf space this year. While Japanese ingredients have always been popular due to their health benefits, Yuzu’s increasing demand may be attributed to a new-found consumer interest in natural flavors. Nostalgic sweet flavors are also trending off-late indicating that traditional and indigenous ingredients from the pre-1990 era have made a come-back. There is a want amongst consumers for flavors from the past that breed familiarity & bring comfort. and this is where a huge opportunity for brands to tap into lies. Touching upon a wide gamut of foods, this includes native flavors such as cinnamon buns as well as cookie dough and s’mores that incite childhood memories. According to Nielsen, retail sales of cinnamon-flavoured buns and cheesecake-flavoured breads grew by 43% and 59% respectively this year! While it is well established that traditional flavours will continue to have a place in categories like ice-creams and savouries, it is clear that with consumers’evolving taste buds and their affinity to trying out new experiences, innovation in flavour creation is here to stay. These are exciting times indeed!